In commemoration of the 5th anniversary of the Foundation, a black-and-white photographic exhibition was staged from November 21 to 22 at the Omenka Gallery. His Excellency, the British High Commissioner to Nigeria, Robert Scott Dewar CMG accompanied by his deputy, Richard Powell, performed the formal opening of the event. Many artists, art collectors, enthusiasts, gallery owners, students and dignitaries were present. 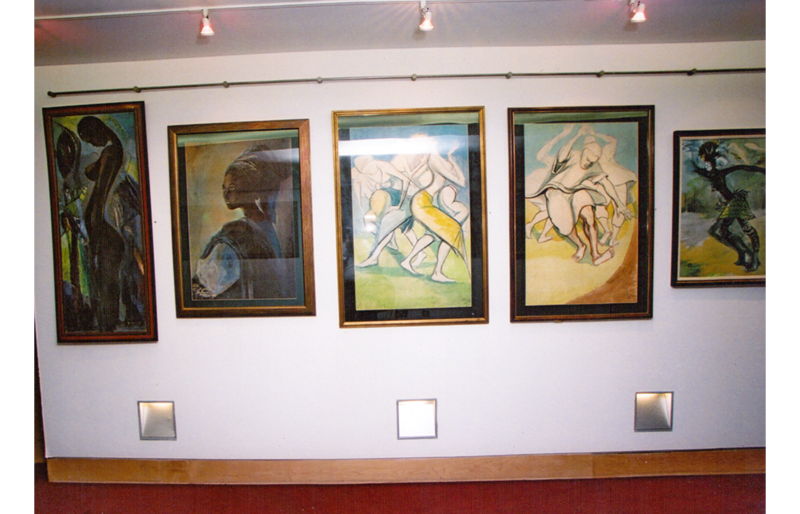 The exhibition, themed Ben Enwonwu: Life and Times showcased carefully selected pictures illustrating Enwonwu's private, public and, most especially, professional life. 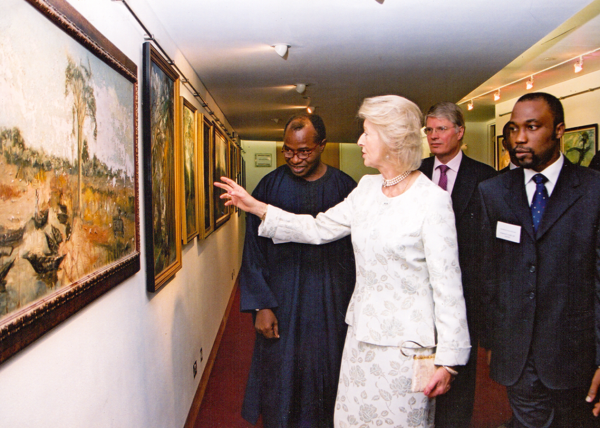 Included were several official portrait photographs of Enwonwu with some famous figures he met in the course of his distinguished career such as, Nigeria’s first president, Dr. Nnamdi Azikiwe, Her Majesty, Queen Elizabeth II, His Royal Highness, Prince Charles, former Nigerian Prime Minister, Sir Abubakar Tafawa Balewa, Kwame Nkrumah of Ghana and the Ikemba of Nnewi, Chief Emeka Ojukwu. Medals and certificates received by the late artist, newspaper clippings, his personal effects and tools of trade were also part of the exhibits. 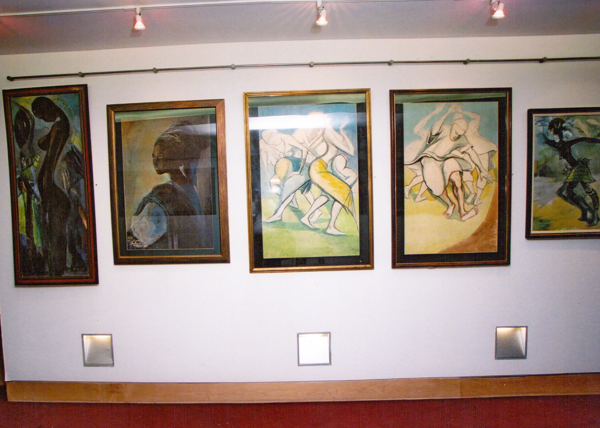 In addition, some drawings, paintings and sculptures were displayed to chart Enwonwu’s progress step-by-step, from his student days at the Slade to defining moments as an internationally recognised artist. 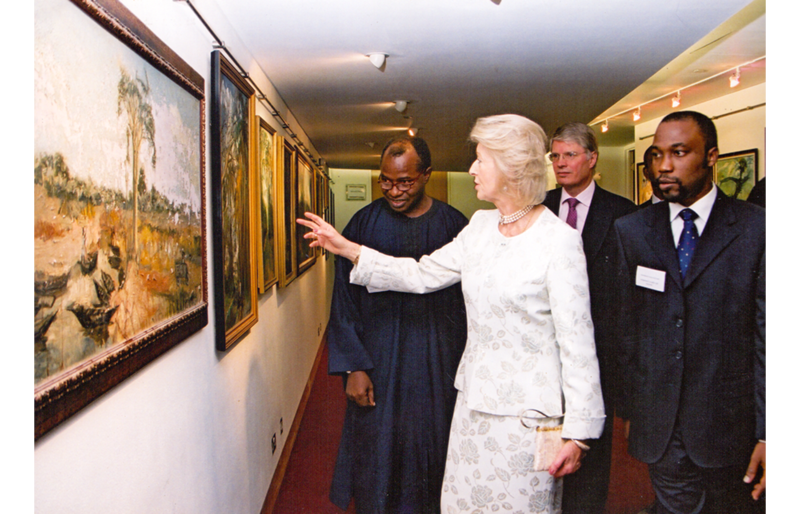 Photographs of the making of some of Enwonwu’s most acclaimed masterpieces such as Anyanwu, Sango, The Drummer and The Risen Christ, as well as the unveiling ceremony of the full-length bronze portrait of HM, Queen Elizabeth II were also on display to provide a glimpse into the world Enwonwu lived in, and a deeper understanding of his working methods and style. 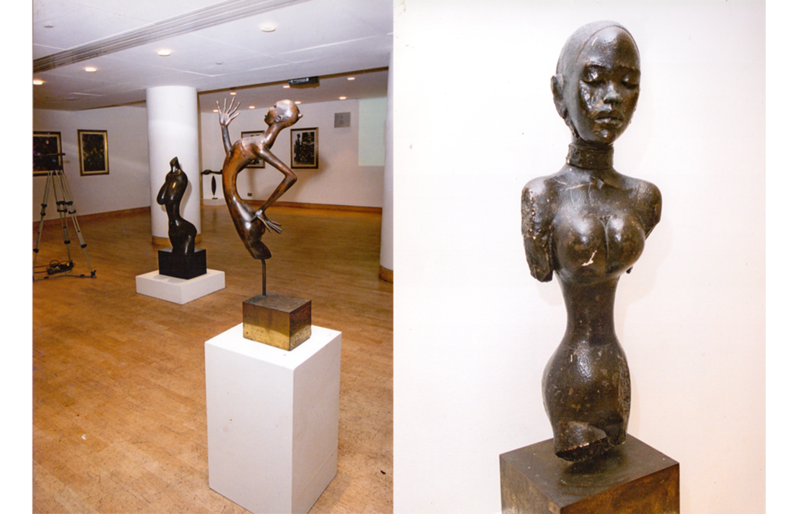 To mark the 10th anniversary of the death of Ben Enwonwu, an exhibition titled Celebration of Excellence was staged at the Royal Commonwealth Society (RCS) in London. 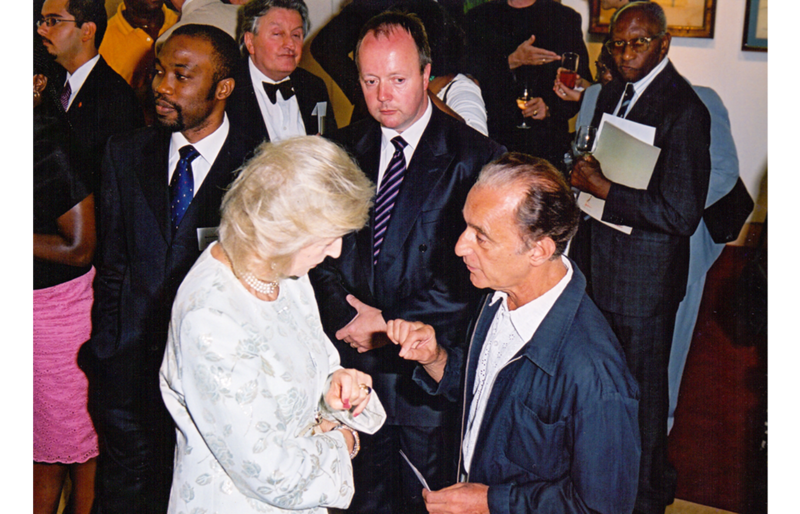 Her Majesty, Princess Alexandra who represented Her Majesty, Queen Elizabeth II on the occasion of Nigeria’s independence in 1960, opened the exhibition. The fifty-five works on display were valued and insured for an unprecedented amount of one hundred million Naira (N100, 000,000.00), a significant development as contemporary Nigerian art had previously never been borrowed on this scale or insured for an amount this large. 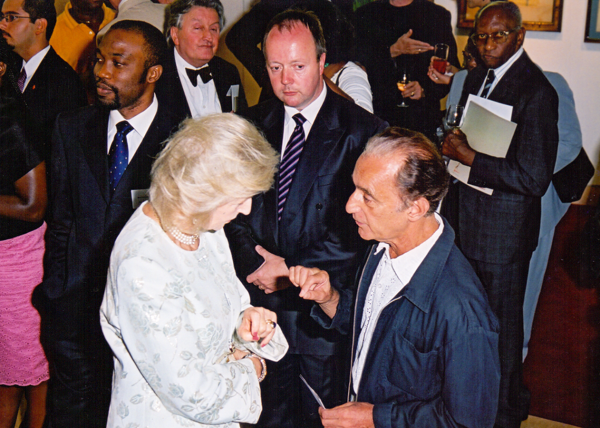 Of particular importance to the success of the exhibition, was the sheer magnitude of the collaboration across the public and private sectors of the country. Olasehinde Odimayo, Eyamba Dafinone, Oliver Enwonwu, Susan Craig, Chief Rasheed Gbadamosi OFR, Chief (Mrs) Aino Oni-Okpaku, and Alero Jadesimi constituted the organising committee. Dr Ayo Ighodaro worked with the committee as fundraiser. 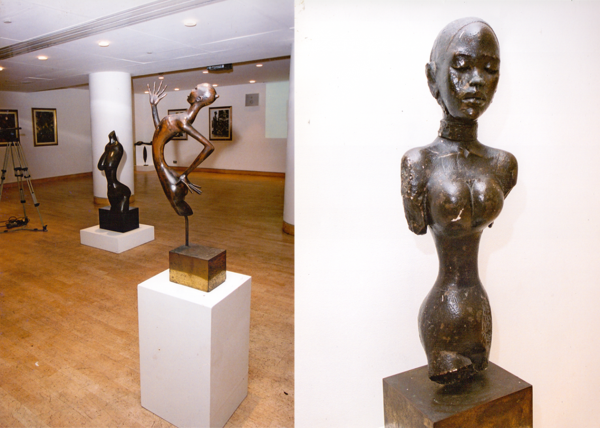 As a precursor to the 10th anniversary of Enwonwu’s death in 2003, the Foundation held a retrospective exhibition at Quintessence Gallery in November. The Iya Oge of Lagos, Chief (Mrs) Opral Benson opened the exhibition.